What if your thoughts were 100%, or 80%, or 50% inaccurate, not for your highest good, not for the highest good of others, or simply and innocently outdated? How important do you think your thoughts are? What if you took one day and thought the opposite? 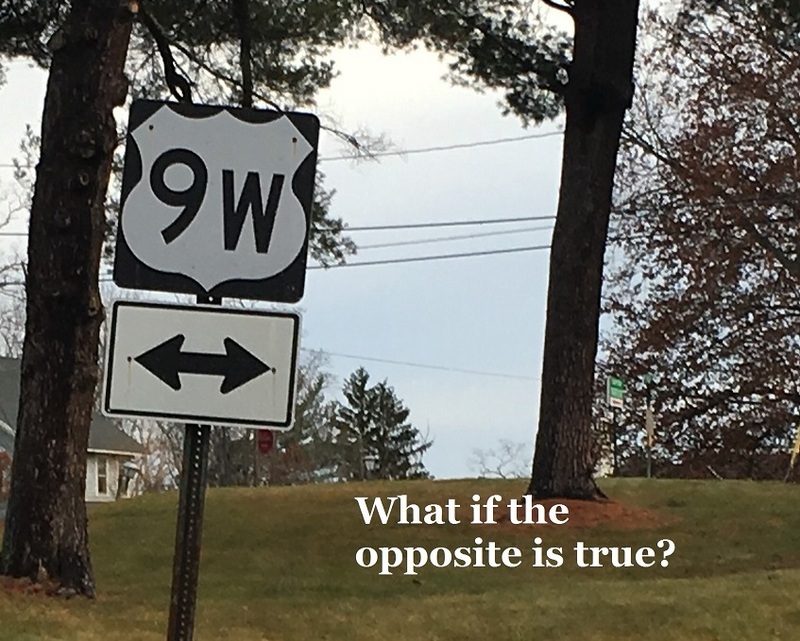 What if the opposite is true? Thought comes before feelings and thought comes before actions. It is an important aspect, perhaps the most important, of your life and your experiences. You cannot find a clear path in a thought storm, especially if the thoughts are scattered and negative. Since my intention is to think the opposite today, this blog will be shorter than usual. Be aware of your thoughts today. Clarify a thought such as “I need to write a 300 word blog”. Think the opposite. It does not have to be 100% the opposite, but what feels like a significant opposite to you. In my case, my blog will be about 50% shorter than usual. See how you feel and notice what happens. End of blog! I already feel lighter.